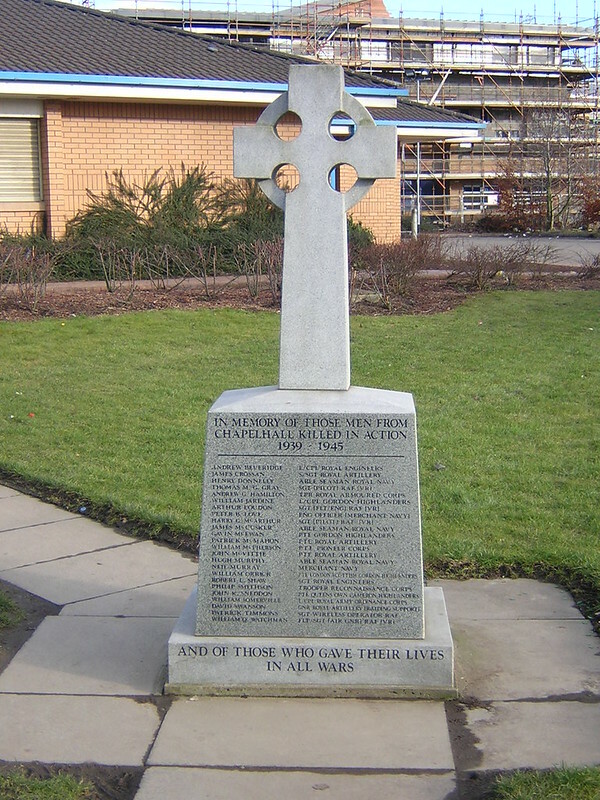 Chapelhall is a small village on the outskirts of Airdrie. This memorial looks fairly recent, and even looks like it was constructed by the same people responsible for the new Waterloo memorial. 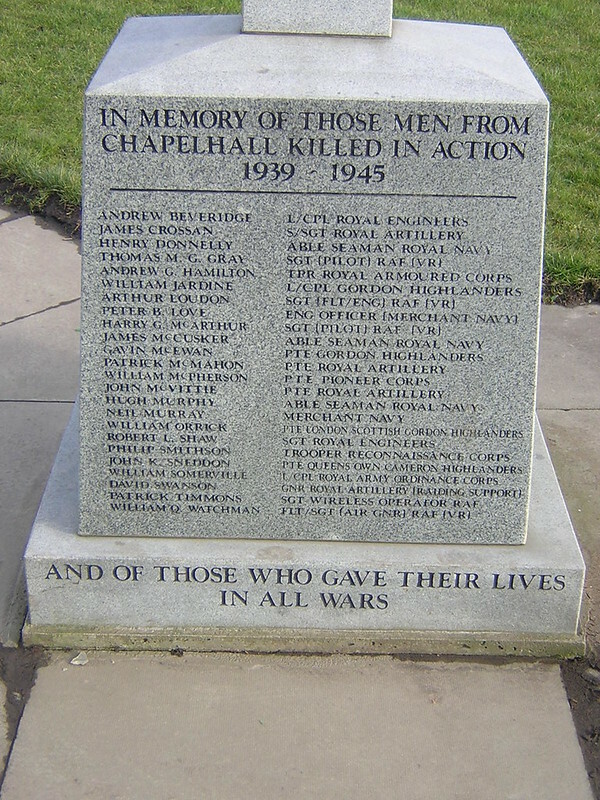 Red indicates also listed on Chapelhall Parish Church WW2 Memorial. With regard to my uncle's inclusion on the memorial - I've chatted to Anne about this - although he was on merchantmen all through the war, Battle of the Atlantic, Artic convoys and sunk 3 times, he died in 1948 and not from wounds but from committing suicide.